This Page is dedicated to listing the Current Eve Online weekly / monthly casts relating to the Eve Online Economy. It is worth saying that the value in these videos is watching them as they come out. Their value lies in keeping up to date with what the producers are saying at the time. Eve Talk by Delonewolf. It is a weekly YouTube cast for 20 - 30 mins talking about what he's seeing in the markets. Has been going since at least the start of 2012. Focused more on station trading, primarily looking to buy items at one point in time to store in a hanger to sell at later point in time at a better price. Format is the same week to week: Starts with a talk on the Plex market, moves onto the minerals, then T1 ships, T2 ships, T3 ships and then a different market each week. The discussion centres on what is happening by looking at charts and then Delonewolf gives his views on why this is happening followed by some trade ideas. Unfortunately they are mixed in with his other youtube clips - so the link above goes to his youtube page. 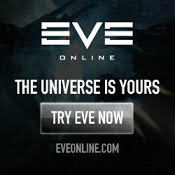 the Eve Propser Market Review, which just started on Thursday 16 October 2014 night US time is a stream and youtube cast by John Purcell (Lockefox ingame) of the Eve Prosper Blog. The link above is to the playlist on his youtube channel. The Youtube cast has the 50 - 60 minute show but not the question and answer session afterwards. It starts with a general news segement (not really market related), followed by the market charts starting with Plex, then some interesting charts, then Minerals, Moon Products and the Fuel markets. Lockefox gives his views on why the prices and volumes are moving, and some ideas on potential trades to make. The show notes and slides can be found on his blog. Eve Online: Amarr Market, as the title suggests, focuses on the Amarr market. It is a weekly tubecast and seems to have been going for 2 years. The angle here is that it focuses on a trade hub that is not Jita. Amarr is the second largest trade hub after Jita and i find it to still be quite competitive. However, a focus away from Jita is a welcome variety. Unfortunately the videos are mixed in with his other youtube clips - so the link above goes to his youtube page.